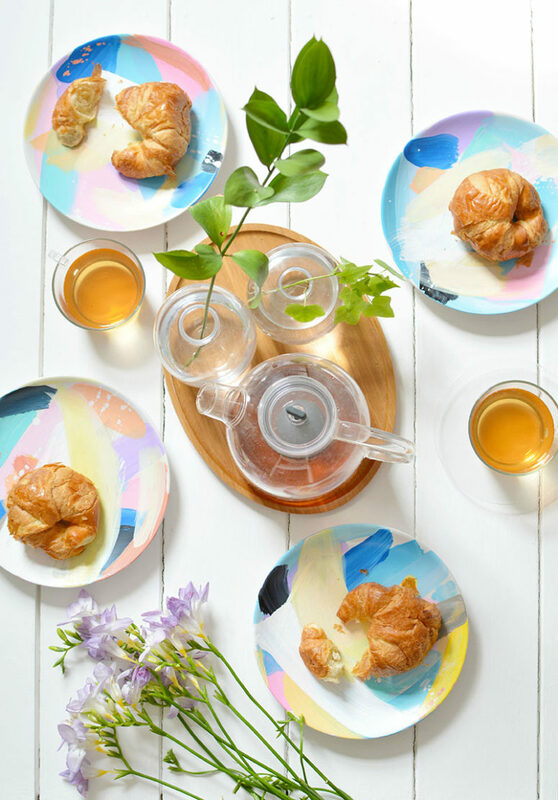 If you have plain porcelain and want to spruce it up a little bit, grab some paints and decorate your plates the way you like. If you are going to paint your plates, you should keep in mind covering them with a food safe coating after paint dries. Also read the instructions on the paints attentively not to spoil the painted plates in the dishwasher or somehow else. 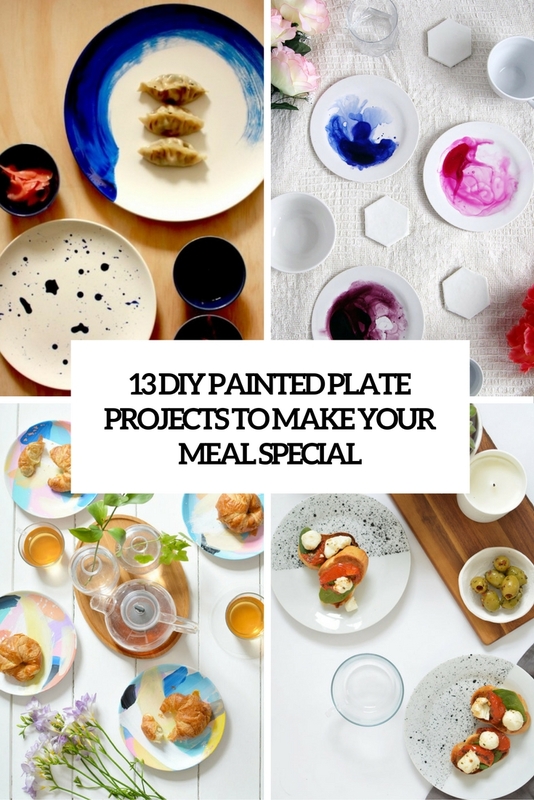 This thrifty dinnerware was turned into cool mix and match dinnerware with some metallic and pastel paint. All you need to do is to add geometrical parts in pastel colors, different to different plates to make them matching. 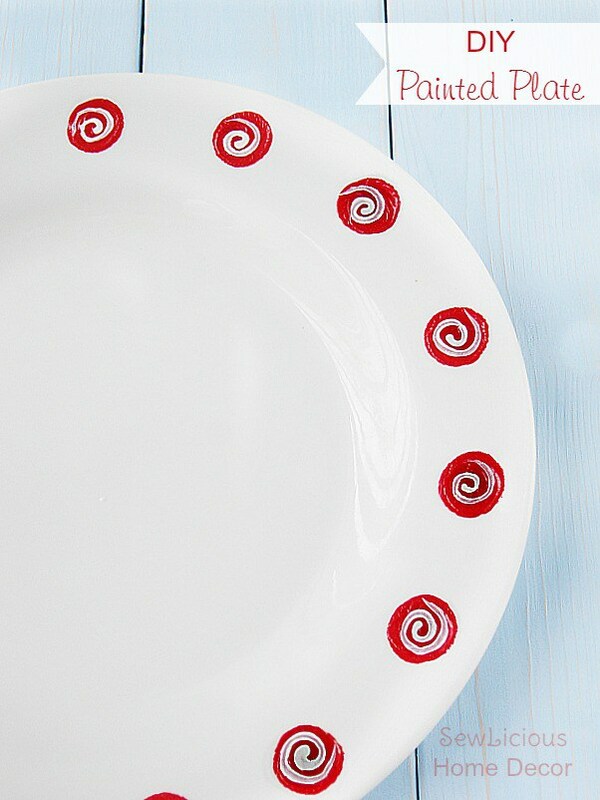 Coral dots of acrylic all-surface paint can spruce up any boring dinnerware! Follow the manufacturer’s instructions to heat-set or cure the paint. To preserve the decoration, always wash the plates by hand and avoid abrasive scrubbers. I’m head over heels about these mini plates! These haphazard brushstrokes and bright shades look just breathtaking and can raise the mood immediately. When you’re happy with the plates bake them in the oven according to the manufactures instructions. 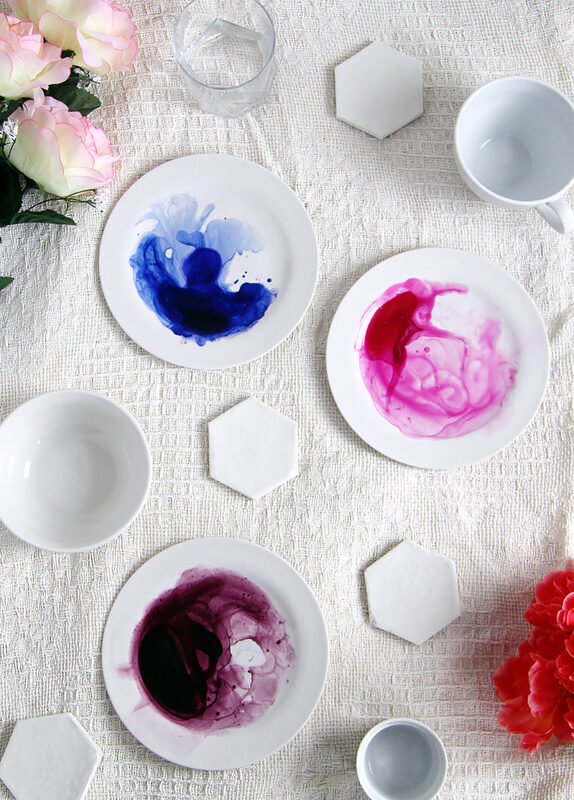 With this technique, you can create beautiful DIY watercolor plates that will add a pop of color to your dishware collection! Use any color of paint to go with your theme and get your craft on. Here’s a colorful spring plate – just make some bold polka dots of paint on the sides. You may also add flowers or some other patterns. 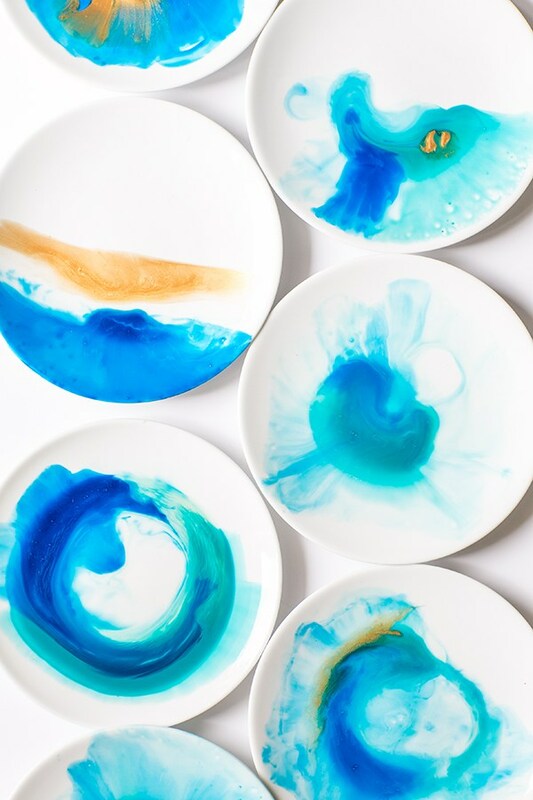 Watercolor décor is trendy now, and you can renovate your usual plain plates making them watercolor. How? 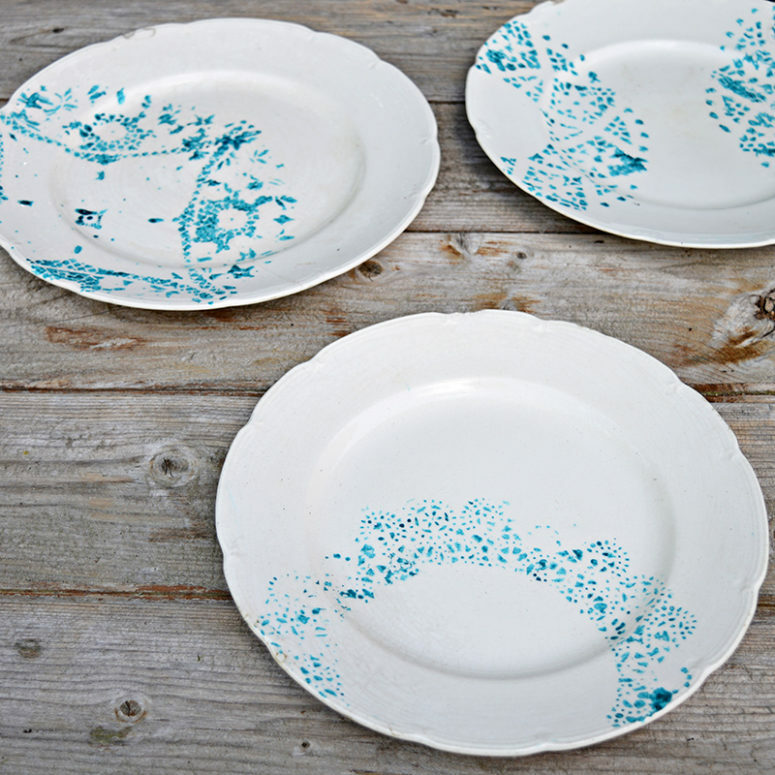 Take paints that you like and create totally abstract patterns in the plates. Choose bolder colors to create a strong contrast. 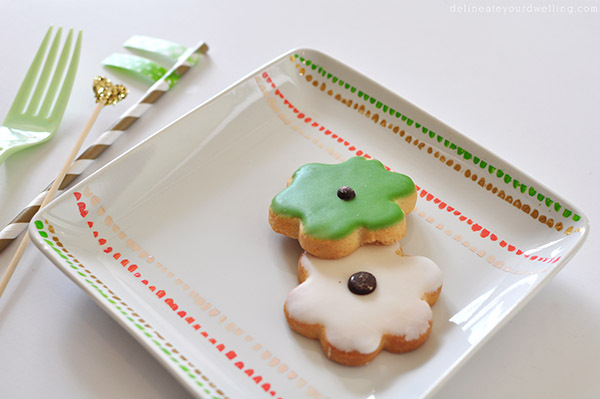 This is a fun way to decorate a plain plate for the holidays. Use holiday paints for a fun and festive plate that will add a beautiful addition to your table setting. After your plate is painted it is no longer food safe unless you buy a food safe coating to put over it. Need a sweet and delicate plate? 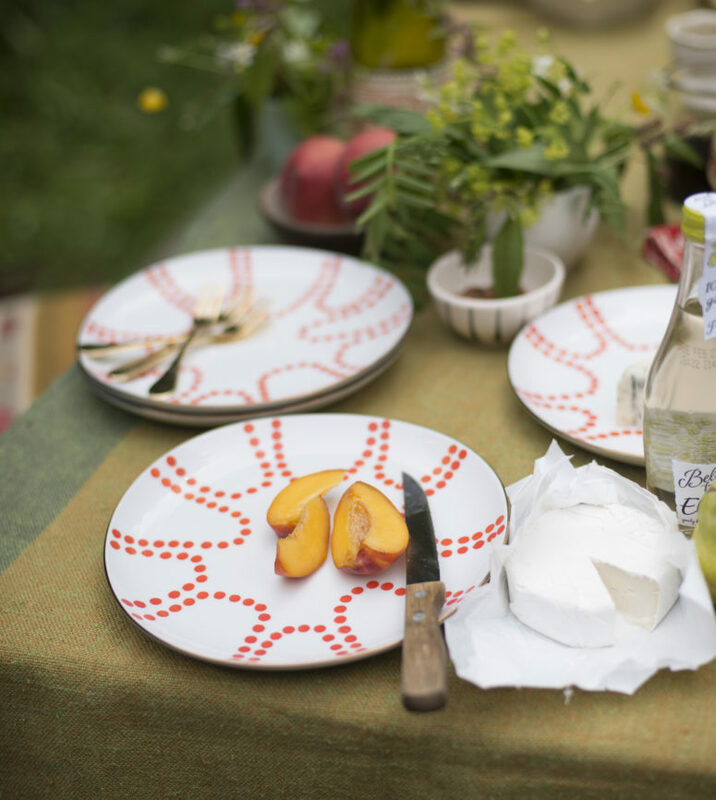 Use a usual doily and some pastel paint to stencil your plates, this is a genius idea to create mix and match dinnerware, use various doilies. 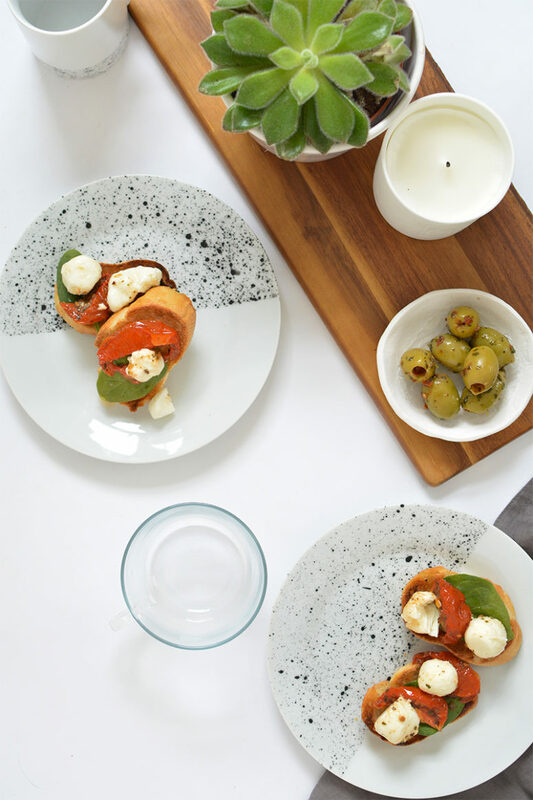 If you’re a sucker for an easy makeover then I have the project for you – speckled plates! 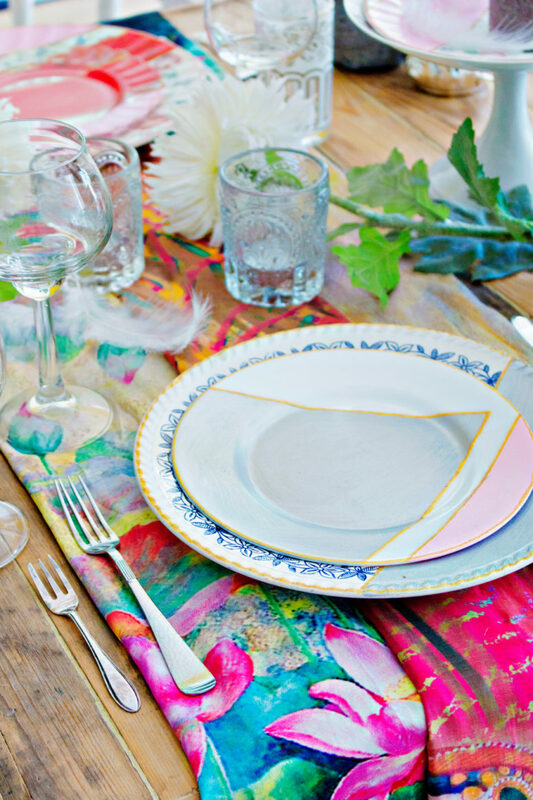 Try your hand at painting boring plain dinnerware, and you won’t regret! It’s especially great for Easter. Love bold colors? 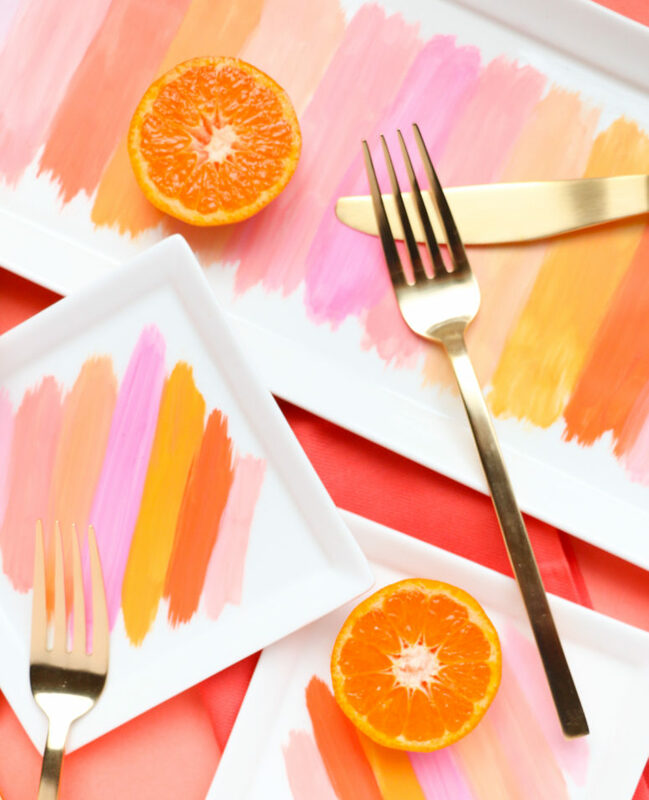 Create super bold brushstroke plates in orange, pink, fuchsia, purple and so on – feel an impressionist and create your own masterpiece! If you are a fan of classic black and white color combo, then you have lots of patterns and ideas to try. 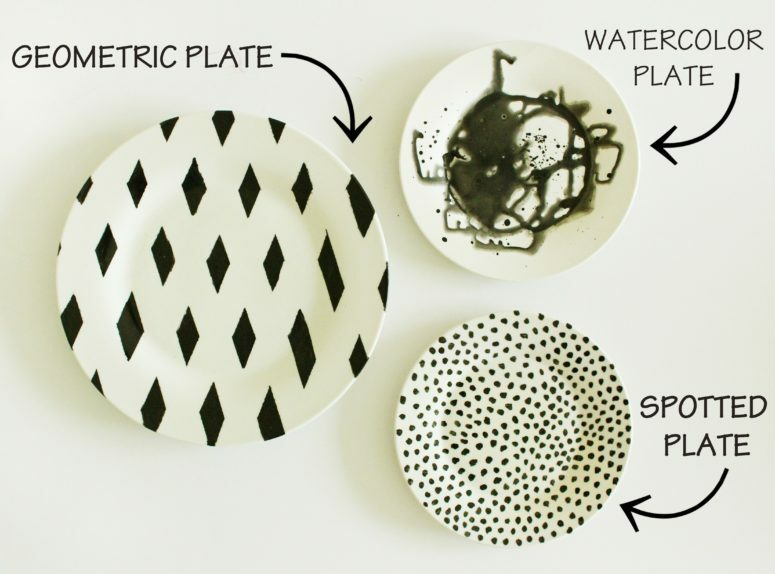 Geometric patterns, polka dots, watercolor and other ideas can be easily realized with black enamel paint on white dinnerware. Indigo is such a beautiful color! It’s amazing for making accents, so why not give your kitchen an indigo touch? 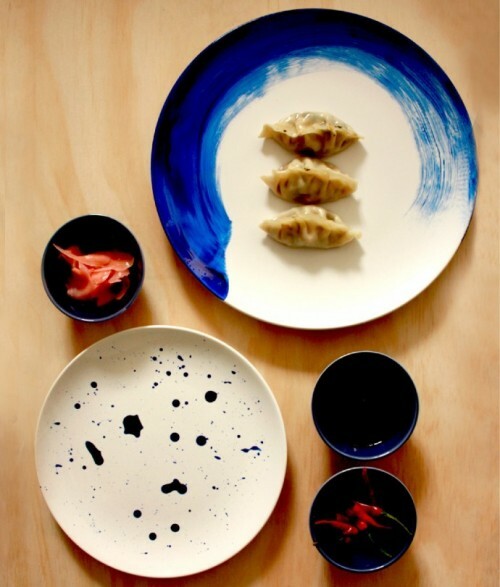 These indigo plates are easy to craft and look very modern and chic, they are sure to accentuate your food. 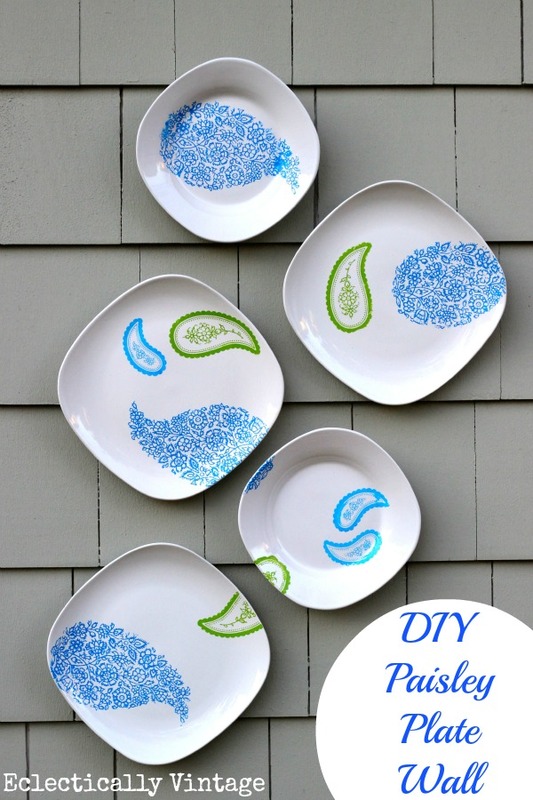 This plate project was realized with Martha Stewart stencils, and you can change colors if you want. a stencil is a great way to get ideal looking plates without any fuss.